Rhubarb will soon be popping up everywhere and I thought this would be a perfect time to revisit some of my rhubarb recipes...just to get you ready and set to bake with this amazing and beautiful veggie/fruit! 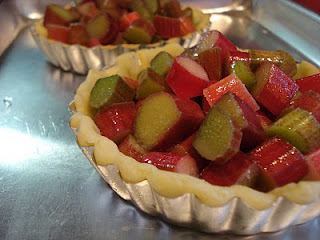 The first is this delicious rhubarb mini tart experiment I made that uses a prebaked crust for less crust sogginess! This shortcake was so so good! 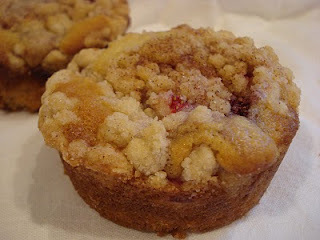 Then the rhubarb and strawberry muffins with a streusel topping...one of two rhubarb muffin recipes. What to do with leftover scones? 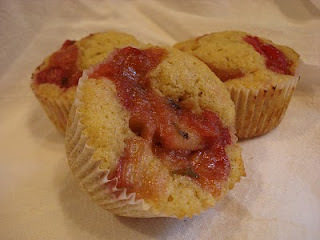 Make a custardy, light yummy rhubarb bread pudding. 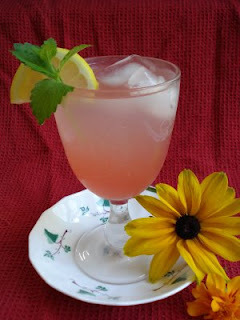 And to wash it all down...how about a cool refreshing rhubarb lemonade This lemonade is my favorite. It's a great combo of lemons and rhubarb with just the right amount of sweetness. How about an unusual combo of tarragon and rhubarb from France's Food and Wine Magazine? Give these a try. 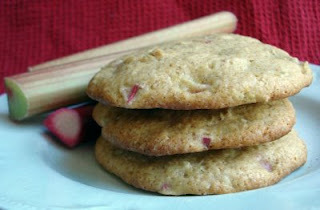 And last...how about a rhubarb cookie? Sounds a bit crazy, but they make a great sandwich cookie...kind of like a rhubarb whoopie pie! 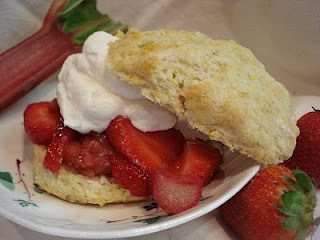 So, there are some great rhubarb ideas to get you started...Happy Baking and Happy Spring!